Mark Waugh into TEN’s jungle? 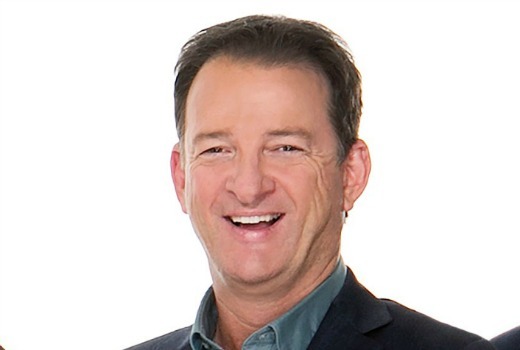 Is former cricketer Mark Waugh going into the jungle for I’m A Celebrity Get Me Out of Here? That appears to be the case after a discussion between host Dr. Chris Brown and sports presenter Mel McLaughlin on air yesterday. Recent rumours have also speculated on Jane Hall, Denise Drysdale, Ian Roberts, Anthony Koutoufides, Ben Cousins, Justin Melvey, Fiona O’Laughlin, Didier Cohen and (either of) the Stafford Brothers. But the format is also undergoing some subtle changes. Not everyone confirmed to be going into the jungle is likely to be resident cast, and could be making a guest appearance. Big Bash did exactly the same thing last year with Damien Fleming. Merely an attempt to throw viewers off. The reality is the media have no idea, just like last year. Kudos to the producers and Ten for successfully keeping participants a mystery. It’s key to the success of the launch. why? watching the withdrawal symptoms accumulate could make for compelling tv, exactly the kind of thing the premise of the show aims for. Not sure about Ding Dong either, she is booked to do a promotional trip to Italy for a travel company for about a month, not sure if the dates clash but even if they don’t that and I’m a Celebrity would mean she would be absent from Studio 10 an awful lot in her first few months. As much as I would love Denise Drysdale to been this, I doubt she would be on this as she will be only a few weeks/days into her part-timed role on Studio 10. It seems to soon after starting one job to then go and spend time in the jungle. Then again, I could be wrong. Ben cousins would be a good get, he does fascinate people, even the ones that do not know anything about his AFL career. The rest of the suggested names are straight from the celebrity-reality catalogue, almost all of those names have done DWTS. Justin Melvey was considered a nobody when he did celebrity survivor 10 years ago. I don’t think he has done anything to improve his status since. I have the opposite opinion. Ben Cousin’s doesn’t interest me and wouldn’t be a reason to watch I’m a celeb. Recently read Chris Judd’s book and his thoughts on Ben Cousins didn’t interest me either. I think it might have something to do with the Essendon drugs saga and others this year. When you hear about the same thing over and over again it tends to make your switch off. I am over the reality ads during sport. I’m actually watching less sport this summer than the norm because the excessive reality ads are putting me off the actual sport I’m watching. It needs to be toned down. I’m not sure 10 would want to touch Ben Cousins. I’m not aware of where his rehabilitation from drug addiction is at but they would want to make sure he is 100% clean before sending him into the jungle.